Efren Reyes is moving and thus a bit blurred. Corey Deuel watching. 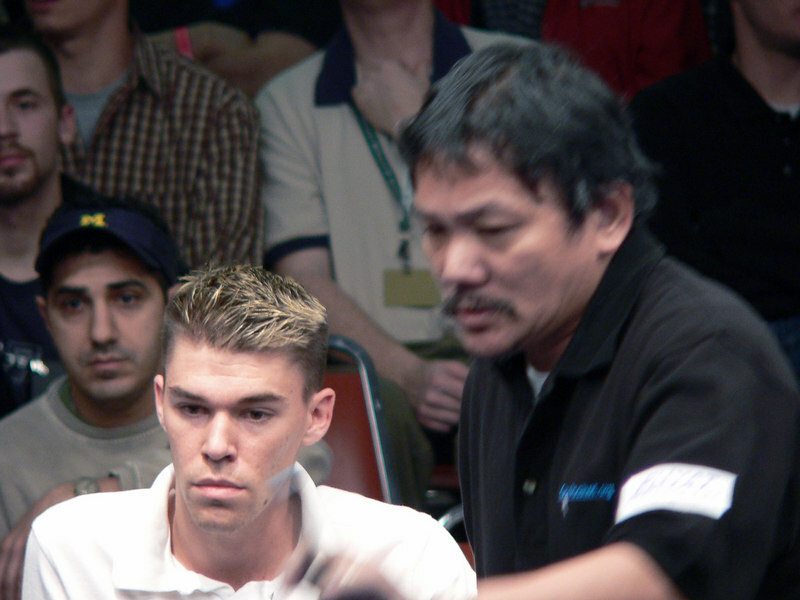 I believe that is Cue Collector and player Charlie Flip just behind Corey.